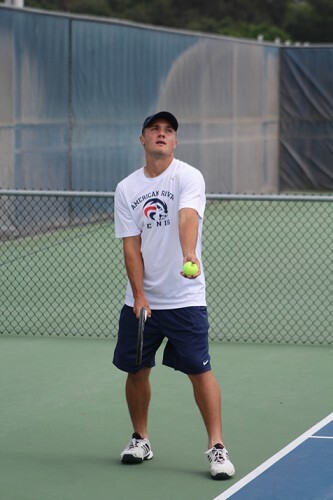 American River College’s men’s tennis team is set to play in a rematch of last year’s NorCal Regional Title game against No. 2 ranked Foothill College on Saturday after defeating No. 5 ranked Chabot on Wednesday. ARC is looking for its first NorCal Title in 50 years, dating back to 1966 when the team went on to be state champions. 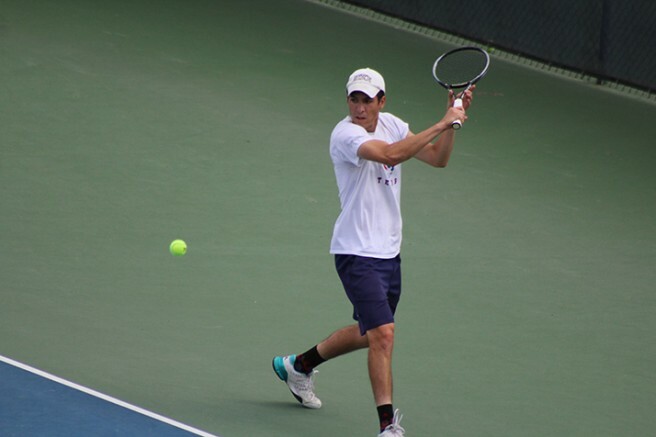 The match against Chabot was again called once ARC won five out of the nine scheduled matches thanks to TJ Aukland’s win over Kalvin Kwok 6-2, 6-2. “We were kind of racing each other to get (the final win) so it was fun,” Aukland said. Aukland also said that the opportunity to exact revenge against Foothill was an exciting one. “It’s huge to play in the final. We lost away to Foothill last year in the final and we’re playing them again, so it would be nice to get some revenge,” Aukland said. Sophomore Seppi Capaul said that returning to the finals is a good thing, and that being prepared physically and mentally are important points if they are going to win this year. Capaul also said that having the home court advantage this time around could make a difference for the Beavers. “Last year, we played away at Foothill and it was okay, but it is an advantage to be playing at home,” Capaul said. Coach Bo Jabery-Madison said that while the practice on the day might not be as rigorous as other practices, nothing else will change how they prepare for the match. Jabery-Madison also said that while there is pressure on the players for this game, it will be good preparation for the Ojai Individual Championships later this month. “Every time you come out on the court in these pressure situations, that’s tremendous experience for a tournament like Ojai where every match is going to be competitive,” Jabery-Madison said. Freshman Cody Duong said that if the team can heal up and stay healthy before the matchup, the team should have a good chance at winning it. American River’s matchup with Foothill is on Saturday at 1 p.m. at ARC. Be the first to comment on "Men’s Tennis faces NorCal Finals rematch vs. Foothill"